If you’ve browsed through the headlines lately, you have likely seen a thing or two about net neutrality. You’ve heard that it’s been repealed, and you know it can affect you, although you aren’t quite sure how. 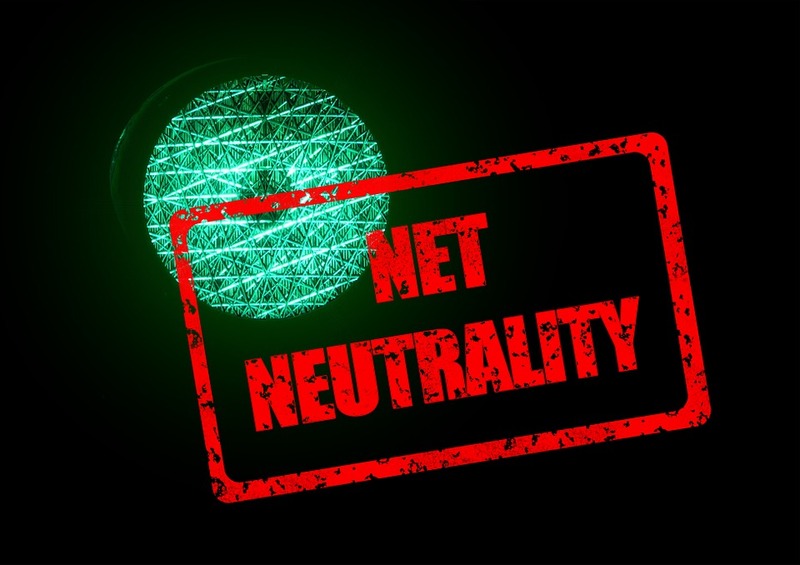 Take some time to learn a bit more about net neutrality, and then find out how proxies and VPNs are the solutions to the problems you might face. Let’s dig in with an explanation of net neutrality. Then you’ll have a better understanding of why this is such a big deal. Net neutrality ensures that all traffic is created equal, meaning you enjoy the same connection speeds, regardless of the site you’re accessing. When the net neutrality law was in place, internet service providers were not allowed to favor certain websites or products. In other words, providers couldn’t speed up or slow down connections due to the content, platform, application, website, or user. All data had to be treated the same, and it was illegal to give preference to any of the digital content providers. Providers couldn’t wield status, influence, or even money to get preferential treatment, and ISPs couldn’t speed up sites owned by their company. This rule essentially made the internet fair for all and ensured the best experience possible for users. It sounds great, doesn’t it? It was so great the FCC decided to reverse it. The Federal Communications Commission found itself in the middle of the net neutrality fight, and it eventually voted to repeal it. The FCC claimed this was an action to restore internet freedom. While some members of the Senate are working to reverse this decision, major corporations, including Comcast, Cox, and Verizon, are welcoming the reversal. In fact, Comcast and Verizon are even trying to block states from setting up their own net neutrality laws. They want to keep net neutrality off the books, and they’re doing what they can to ensure they get their way. Many believe this is so they can throttle internet speed, even though providers like Comcast claim that’s off the table. It’s easy to understand why people are so worried about the possibility of bandwidth throttling. Bandwidth throttling is the process of slowing down the speed of an internet connection, and it would change the way people use the internet. If your ISP throttles your bandwidth, you won’t be able to access certain sites or services with the same speed you used in the past. Think of it this way. Some sites will feel like they’re running on broadband, while others will seem like they’re running on dialup. Get a better idea of how this works by looking at some potential scenarios. Right now, no one knows exactly how the net neutrality repeal will play out, but there is speculation that consumers will be harmed in countless ways. Three scenarios stand out among the most likely, as well as the most damaging. As you probably know by now, bandwidth throttling is the biggest fear. You could end up dealing with extremely slow websites if your ISP chooses to throttle your bandwidth. Major companies like Netflix might end up paying higher prices to give their connections priority, and smaller providers will lose out. That means you might end up with a slow connection to your favorite sites. Before the net neutrality law was in place, it wasn’t usual for ISPs to limit download speeds. Downloading content takes up a lot of bandwidth, so ISPs would cap the download speed to free up more bandwidth on the network. Net neutrality stopped that practice, but it could happen once again. That means it will take longer to download files. There’s some fear that internet services will start to look quite a bit like cable-TV packages. If this happens, you’ll have to buy a package based on the sites and services you want to access. You’ll be able to get a basic package to access basic sites and services. If you want to have access to everything, you’ll have to pay the big bucks. Then, there will be lots of packages in between. In other words, the days of the free internet could be coming to a close. You might have to pay to access the sites you like the most. That will likely leave lots of people without internet access. That means they also won’t have access to the information that so many people count on. Who Will Net Neutrality Changes Benefit? It’s easy to see how the net neutrality reversal hurts consumers, but who does it benefit? Someone has to get something out of it or the FCC wouldn’t have reversed it. It certainly helps someone. Well, actually it helps something. Broadband companies have come out and said the net neutrality rules were too restrictive and unnecessary. When the law was still in effect, the companies said they wouldn’t throttle bandwidth if it was reversed. Now, though, some executives have said they might begin offering paid-priority services down the road. If they do, they will be able to increase their revenue stream. Large content providers also benefit from this change. Netflix, Facebook, and other big providers can pay to speed up the delivery of their content. That will give them yet another edge over the smaller startups. Who Will Lose Due to the Changes? Consumers will naturally lose out if the Senate doesn’t manage to put net neutrality back in place. Websites will likely be slower, or consumers will have to pay lots of money to access their favorite sites. This is awful for consumers. Startups will also lose out. It’s speculated that startups will be regulated to the slow lanes of the internet. It’s unlikely startups will have the influence or the money to make it to the fast lane. Instead, they will have to compete with websites that move so much faster than their sites do. It might seem as if there isn’t any way to avoid this problem, but that’s not the case. First, even though Comcast and others are trying to prevent the states from intervening, there’s still a good chance that some states might put their own net neutrality laws on the books. That means ISP throttling wouldn’t be legal in those states. Second, other countries, such as Canada, have their own net neutrality laws in place. That means all traffic is created equal in those countries. What if you don’t live in a state or country that supports net neutrality? All hope isn’t lost. There is actually an easy solution to this problem. So, you don’t live in Canada, and your state is willing to let ISPs set the rules. What do you do? Let’s look at your options, and show you how to tell if you’re being throttled. Let’s say you live in Texas, and your state has decided anything can go. Your favorite sites have slowed down considerably, and you need a quick fix. Now, let’s assume the state of California puts its own net neutrality law on the books. If you could surf the web with a California IP address, you would benefit from that law. The ISP would think you were located in California, so it would not be legally allowed to throttle your traffic. You can accomplish that with VPNs or proxies. These services change your IP address, so it looks like you are in another location. You would get a proxy or VPN with a California IP address, and you could surf the web at your desired speeds without any issues. You can get VPNs and proxies for various locations, including different countries. This is the easiest way to avoid throttling. Most ISPs aren’t going to come out and say, “We are throttling bandwidth.” Instead, it will be up to you to find out if you’re internet speeds are being throttled. Then, you can move forward with a proxy or a VPN. It’s easy to find out if you’re being throttled. Conduct an internet speed test on TestMy.net. Then, you’ll find out if you’re getting the speeds you’re paying for, or if you’re being throttled. The end of net neutrality is certainly frustrating, but you don’t have to deal with the fallout. Instead of suffering with slow internet connections, get a VPN or a proxy from Blazing SEO. These proxies offer unlimited bandwidth and threads without any throttling. This is the best way to get the speed you want when you’re online. The end of net neutrality means the end of an era on the internet. Expect ISPs and big companies to find a way to make some money post-repeal. Don’t let yourself be a victim of it, though. Get your proxies or VPN and enjoy the fast speeds you paid for when you signed up with your ISP. HTTP vs. SOCKS Proxies: What’s the Difference?